Director Mark Lutwak has another group of very talented interns this year who will bring this “theatre for young people” to various schools and communities in the tri-state area at a modest cost (and sometimes free) as part of the outreach efforts of the Playhouse. As usual, the show makes use of inventive portable set pieces (including a really neat talking door effect), great costumes, and engaging acting to a new generation of folks. It’s a great way to introduce young people to live theatre and I’m always excited to see what the educational folks at PiP are up to each season. The show runs just over an hour and has most of the elements modern audiences expect from “Beauty and the Beast”, though there is also a Cinderella-like vibe going on, too. It’s a great opportunity to educate people about source material and literature and things like it. These very talented actors will be on the road with this show through November 1st; get out and show your support for them by attending one of the performances. Here’s a current schedule. 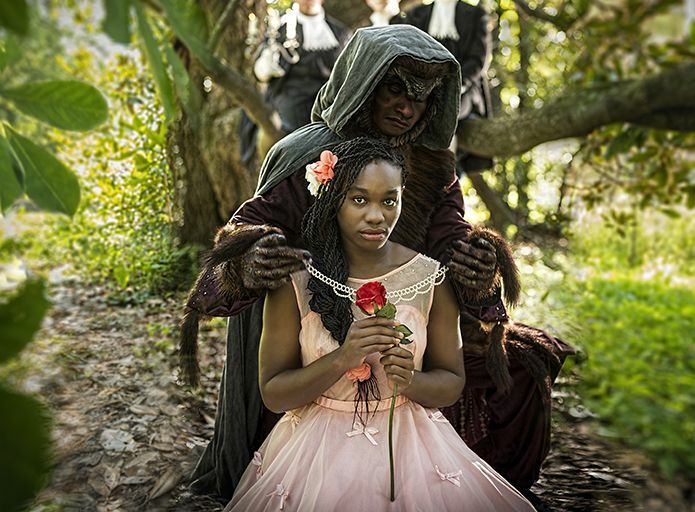 A dark, comedic take on the classic fairy tale that proves true beauty is always more than skin deep.